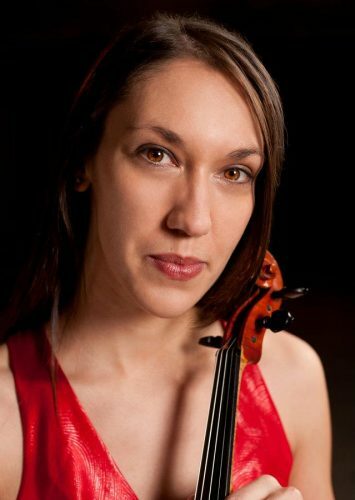 Violinist Janna Sailor began her musical studies in violin and piano at the age of three. Originally from Saskatoon, Sk. Janna began performing with professional orchestras at the age of thirteen. In addition to performing with established ensembles such as the Vancouver Opera Orchestra, Lion’s Gate Sinfonia and Vancouver Inter-Cultural Orchestra, Janna enjoys a diverse freelancing career and has performed with Tafelmusik, The Canadian Tenors, I Tromboni, Terri Clark, Frank Sinatra Jr., Kenny G, and the Trans-Siberian Orchestra. In 2011 she held the position of concertmaster with Montreal based Orchestre de la Francophonie, which has just released an acclaimed recording of Berlioz’ Symphonie Fantastique on the Analekta label. She currently holds a position with the National Academy Orchestra of Canada, orchestra in residence for the Ontario based Brott Festival. Janna is a co-producer of RSVP Recital Series in Richmond, BC, an innovative chamber music series of house concerts, and is heard regularly as a soloist and chamber musician on concert series around the BC mainland. Janna is a founding member of Cordei Contemporary Harp and Violin Duo alongside harpist Albertina Chan. Cordei regularly commissions and premiers works by BC composers. Janna has toured across North America as a member of acclaimed classical crossover group Vivace (formerly known as Il Voce). Awards she has received include the Saskatoon Symphony Award for Leadership in Music, the Vining Memorial Graduate Scholarship in Music, Brandon University Young Woman of Distinction Award, and a scholarship for musical study abroad in Italy in 2010. Janna is passionate about the education of young musicians and holds the position of String Programs Coordinator with the Vancouver Youth Symphony Orchestra and teaches at the St. James Academy of Music, a social action inner-city program that gives under-privileged kids the opportunity to study music. Janna holds a Bachelor of Music with Great Distinction from the Brandon University School of Music, and completed a Masters Degree and an Artists Diploma in Violin Performance at the University of British Columbia under the guidance of Nancy DiNovo.